Schneit es monentan in Keystone ?Vielen Dank! Keystone Resort is one of the closest major resorts to the Denver area; an easy 90-minute drive from Denver International Airport. 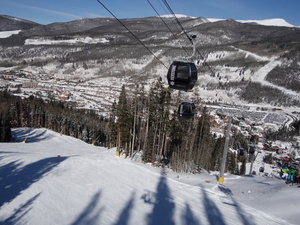 Part of Vail Resorts, Inc., Keystone is known for many features including; more than 2,800 acres of skiing and riding terrain on three mountains, its snow cat skiing with Keystone Adventure Tours, one of the largest night parks in North America, award-winning restaurants, two golf courses, mountain bike park, and superior conference facilities. 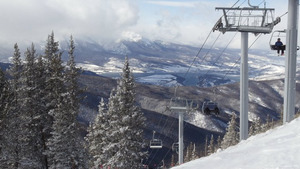 Keystone attracts both local and visiting skiers and snowboarders. 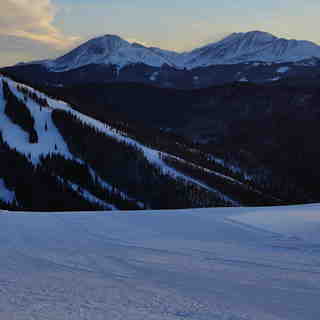 Challenging skiing abounds in the North Peak area. There are plenty of mogul runs. 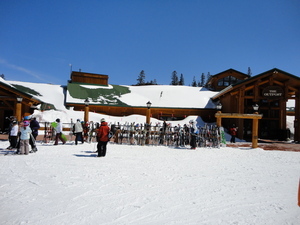 The resort is self-contained and easy to maneuver on skis or as a pedestrian in the village. Keystone offers more than 1,500 lodging choices to fit almost any preference ranging from cozy bed-and-breakfast rooms and luxurious private homes to spacious mountain-comfort condos with gourmet kitchens. The Inn at Keystone, which is centrally located between River Run and Keystone Villages is Keystone's only 'dog friendly' property and hosts the hot tubs with the best views—on top of the building! The resort is also home to the award-winning AAA Four-Diamond Keystone Lodge, a Rock Resorts and Preferred Hotel property. 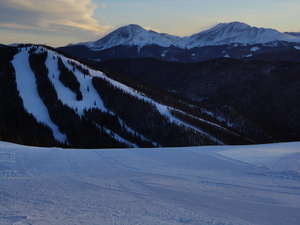 Keystone’s lodging properties offer guests many amenities and service excellence. Every lodging guest that stays at a Keystone owned and operated property receives an Adventure Passport, loaded with one-time coupons for free activities and adventures throughout the resort. Skied Keystone Jan 2013. I found this resort to be well organised and family friendly. The snow was excellent considering lack of recent snowfall but the high altitude kept it in pristine condition. As an advanced skier I was happy with the runs on offer and loved those long green/blue runs back to the village. Good on-mountain facilities available and lift queues pretty much non existent once on the mountain. Price wise, this resort is no different from any other big resort. Looking forward to going back again during 2016. Lesen Sie 4 andere Beurteilungen ueber Keystone oder geben Sie Ihre eigene Bewertung ab.